It takes courage and a degree of humility to recognize that your company needs to implement a turnaround strategy. The decision may have been months or even years in the offing; the swelling worry as you watch your expenses mounting and your coffers draining. Or, it could have happened seemingly overnight: one minute you were bringing in large deals and the next minute the debt collectors were knocking on your door. Either way, once the decision to implement the turnaround strategy has been made, you’re probably feeling a sense of relief and possibly an added sense of anticipation at the same time. After all, this is the “last ditch attempt”: a recognition that things need to change if they’re going to succeed, and a singular channeling of efforts and energy to make that new start. The strategy is poor, and poorly implemented. The risks denote a two-fold responsibility: to make sure the strategy is appropriate for your company’s challenges, and to ensure that it is properly rolled out. According to Rushin, ensuring that these two factors are correctly addressed involves a surprising approach to turnaround strategy management. He suggests that traditional management methods are employed rather than a new set of norms. You could see it this way: instead of rushing onto the scene with a stretcher and a life support machine as you would for someone struggling for their life, treat this as a regular visit to the doctor’s rooms. Your diagnosis and treatment should be calm, holistic and long-term. Don’t run in like a paramedic waving their mouth-to-mouth valve, rather walk in like a physiotherapist being visited in their own consulting rooms. Both your strategy and implementation should not be disruptive or short-term in nature. Your solutions may bring some instant relief, but most importantly they will provide healing and restoration in the long-term. Just as with a physiotherapist, the type and length of treatment should be dictated by the type of the business and its stage in the business cycle, as Rushin points out. So what does this example actually serve to illustrate? In order to avoid the risk of developing a poor strategy or implementing the strategy badly, your diagnosis becomes extremely important. The ‘time spent in the doctor’s rooms’ needs to produce findings that are insightful and accurate. How long has it been painful for? What kind of pain is being experienced? Similarly, before identifying a suitable turnaround strategy, you will need to understand: what caused the decline? How long has the company been in decline for? Where is the company suffering most? Were there any particular triggers to exacerbate the negative condition of the company? Understanding these things will help you avoid a misdiagnosis, and help you ensure the turnaround strategy you develop is appropriate. Just as there is only limited usefulness in consulting “Dr Google” when you have an ailment, so when your company needs a turnaround strategy, there is only limited usefulness in trying to determine what you need yourself. 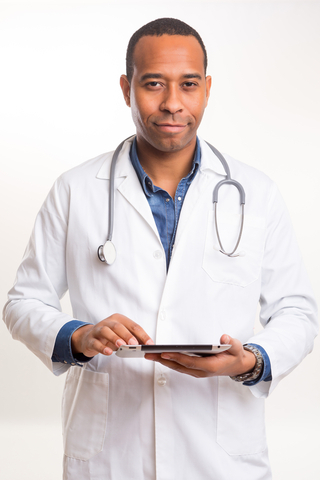 When you’re sick, you need a doctor; when your company is in decline, you need a qualified expert to assess your needs. If you are looking for such a person, contact The Finance Team. One of our experts can help accurately diagnose your company’s situation and help develop and implement a turnaround strategy that will see you experience the remarkable. Like many South Africans, you might have noticed with some excitement a new pizza joint being opened at a store near you. It bore the red, white and blue logo of the internationally established pizza brand, Domino’s. Those who love a traditionally American pizza would have joined the long queues and savoured the cornstarch-covered base, the stringy cheese and the salty pepperoni. You might have thrilled at the store’s innovative take-away order management system, which features your name on a digital screen with a status update as to where your pizza is in the preparation process. You would have been enjoying your Domino’s pizza at one of 1800 new international stores that have been opened by the company in the past four years. Growth at Domino’s is significant and profits are soaring at around 16%. But a few years ago, the pizza take-out company was battling to pull ahead from its competitors, Pizza Hut and Papa Johns. Its newfound growth is what Business Insider describes as an “epic turnaround”. 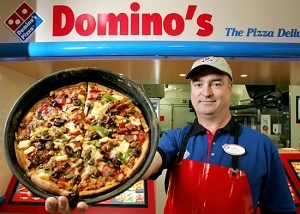 Let’s look at a few of the “take-aways” we can glean from Domino’s turnaround strategy. 1. Turnaround strategy tip one: Face your critics. The lesson: Your company’s toughest times represent the most important time to seek constructive criticism – and act on it. In fact, criticism of any kind can and should be harnessed and used for good. 2. Turnaround strategy tip two: Rethink your product offering. Domino’s has expanded their menu and revved up their sandwiches, pastas and side dishes. A popular new offering on the American menu are “specialty chicken strips” which are covered in cheese and come with dips. These, according to the company’s CEO Patrick Doyle, are driving up the average amount spent by each customer. The lesson: Changing direction means innovating. It means looking at how you can better meet the wants of your customers, and how you can meet these while simultaneously driving up profits and margins. In essence, it means changing what you provide to your customer in some way. 3. Turnaround strategy tip three: Take a fresh look at technology. Analysts say that Domino’s is leading its peers in the use of technology. Last year it launched voice ordering on its mobile app – the first pizza chain to do so. As mentioned earlier, it also innovatively manages its orders in-store. These things enhance the customer experience, improve the overall impression of the brand and allow the stores to function more efficiently. The lesson: Crucial to every turnaround strategy in today’s world is a rethink around technology. Better use of technology can allow for greater customer experiences and improve your company’s economies of scale. Will redeploying technology take time, expense and effort? Yes. Will it be worth your while if it’s done right? Absolutely. A tired old brand with flagging sales and plenty of well-established competition was able to reinvent itself by incorporating these three things into its turnaround strategy. If your company needs help implementing the same ideas into your own turnaround strategy, speak to The Finance Team. Our experienced, insightful strategists can help your company successfully identify how to have your own “Domino’s” effect and find the success you are seeking. Traditionally, a company will implement a turnaround strategy when the red lights are flashing. Sales may have plummeted, the board or management team may have seen a mass exodus, or economic factors may have led the numbers to look grim, and the future may be looking even grimmer. But when a turnaround strategy is implemented at this late stage in the business cycle, there is a price to pay. A lengthy recovery phase is required, during which there is no significant revenue stream while the company patches things up as best they can. In addition, the obligation of recovering the losses from the past comes into play. Inevitably, at some point in the process, members of the management team will sound the same refrain: we should have done this sooner! These managers forecast the need for a change in the business long before the wheels come off the proverbial bus. The first step to adopting this proactive approach to your turnaround strategy, says Huber, is acknowledging that the traditional management skills of planning, organising, leading and controlling are no longer sufficient to manage the modern working environment. Forward-thinking managers will realise that everything has a life cycle of being productive, and even currently effective management techniques will become obsolete when new technologies are introduced or markets evolve. A manager with foresight will recognise the need to implement a turnaround strategy that anticipates upcoming changes in the company’s environment, even while current management practices are still in good order. Those who foresee the need for a turnaround strategy and those who are responsible for implementing it are usually two separate sets of managers. It’s not unusual for there to be some skepticism from those who will ultimately need to get the new strategy underway as to why such a change would be needed. In order to move from an existing paradigm to a re-framed way of doing things, Huber advocates a change management process to allow all stakeholders to understand the reason for the turnaround. The challenge here is to allow for the alignment of strategies between visionary leadership and the rest of an organisation on an ongoing basis. This would make space for the continuous questioning of the business’s paradigm and for the appropriate “turnaround strategy” to be adopted before an urgency for it has sprung up. 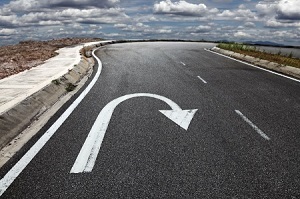 A turnaround strategy is about just that – turning around. It should create an opportunity for the business to return back to the basics – and make sure it’s doing them right. Take stock of your basic processes, tweak them and streamline then to fit in with your evolving vision. In order to meet this challenge, managers need to create a corporate culture that fosters a kind of visionary questioning of the future. Any employee, at any level, should be encouraged to ask why the company is doing things a certain way, how the future could affect things, and how the company could change things to meet future challenges. The company should put incentives in place to encourage such feedback from all levels of staff. The more receptive a senior management team is to such feedback, and the more they effect change from the input, the more visionary their leadership can be hailed as, and the more proactive their turnaround strategy will become. If your company is looking for insight into the turnaround strategy process, or how to create a culture for change, The Finance Team can provide assistance. We can provide ongoing strategic support to your business to ensure that your company’s strategy remains constantly relevant and effective.